It’s something that a lot of people overlook, but landscaping can play a big role in commercial crime prevention. The strategic choice and arrangement of landscape elements can go a long way towards deterring criminals. Here, the key rule of thumb is rooted in an old saying from the world of law enforcement: criminals prefer easy targets. If your commercial landscaping presents difficulties that other targets don’t, chances are the criminal will move on. Basically, your landscaping elements should make it difficult for thieves to case your property or gain access through windows or back entrances. 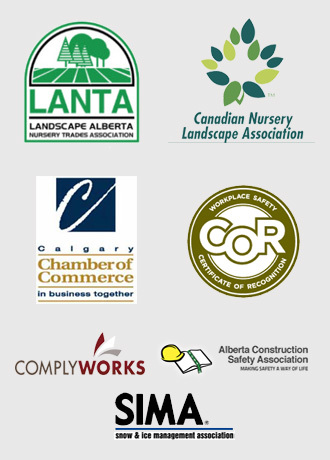 To that end, there are several specific plant species that southeast Calgary business owners can use to make their properties less vulnerable. Junipers. With long branches that grow parallel to the ground and natural thorns, junipers are excellent for keeping intruders away from building perimeters. Spruce trees and shrubs. Plants in the spruce family have dense, rigid, and prickly needles that form an effective barrier. Rhubarb. Capable of growing up to 8′ tall, rhubarb plants have large, abrasive leaves that can cover a broad diameter. Roses. Every rose has its thorn, and shrub roses provide outstanding ground-level cover with their dense, thorn-covered stems. Mountain pine. A cross between a shrub and a small tree, the mountain pine has strong, long needles with very sharp tips. You can also use barberry shrubs, Russian olive trees, and certain species of thorny succulents to the mix if you’re looking for additional options. One thing to keep in mind, though: don’t plant sharp or thorny plants too close to paths or walkways. You don’t want your employees or customers risking injury. Don’t hide the building from view. While shrubs and trees are great for keeping thieves away from sensitive areas, they can actually put you at further risk if you place them incorrectly. Planting thick shrubs or trees too far away from the building can actually provide thieves with better cover when they approach. Use sound to chase thieves away. Gravel is another great landscaping element to use in areas where you don’t want prowlers. It’s virtually impossible to walk over gravel without making a loud grinding sound that attracts attention, and attention is the last thing a would-be thief wants. Light things up. Beyond keeping pathways and key entry points well-lit, you can also use motion-activated lights around the perimeter of your building. These cost-effective and neighbour-friendly options are an excellent way to chase criminals off your property. The landscaping and lawn care team at Mirage Landscaping can make your place of business more beautiful while improving safety and security. A family-owned company for three generations, Mirage Landscaping has extensive experience when it comes to commercial properties in southeast Calgary. Mirage’s complete suite of lawn care services includes everything from seasonal clean-ups in spring and fall to mowing, trimming, weeding, and pruning. We’re here to help you make a great impression on the public, all for rates you’ll find surprisingly affordable. 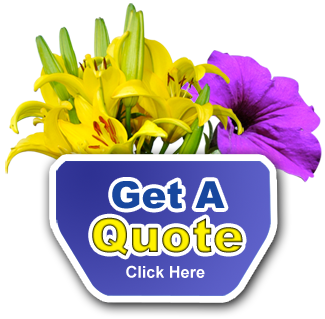 To get started, please fill out our request form to get a free price estimate. Our courteous customer service representatives will respond to your query as quickly as possible.